Consilium поставляет два вида регистраторов - РДР (VDR) и УРДР (S-VDR). Регистратор данных рейса (РДР, VDR) предназначен для установки на строящиеся суда, упрощенный регистратор данных рейса (УРДР, S-VDR) - модульный, спецаиально сконструированный для установки на уже построенных судах регистратор. 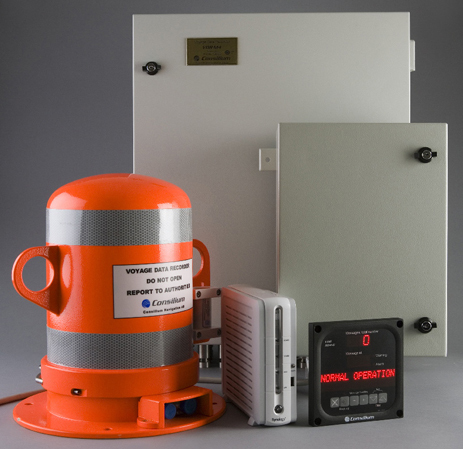 Consilium is one of the world’s foremost leading manufacturers and suppliers of marine Voyage Data Recorders, VDR. Since 1996 Consilium has been involved in the development, manufacturing and installation of Voyage Data Recorders in new buildings and retrofits around the globe and is a preferred supplier on many top builders lists. The importance placed on ‘Design for Assembly’ is reflected in the intelligent combination of cutting edge technology and the minimal amount of moving parts. To ensure that our VDR can be individually tailored to meet a specific need, its inherent flexibility means it can easily accommodate a wide variety of customized requirements without compromising on performance or cost efficiency. Consilium VDR systems meet all the relevant requirements as demanded by IMO Standards and EU directives. With the focus on value and performance you’ll find all our Voyage Data Recorders go way above the market standard.